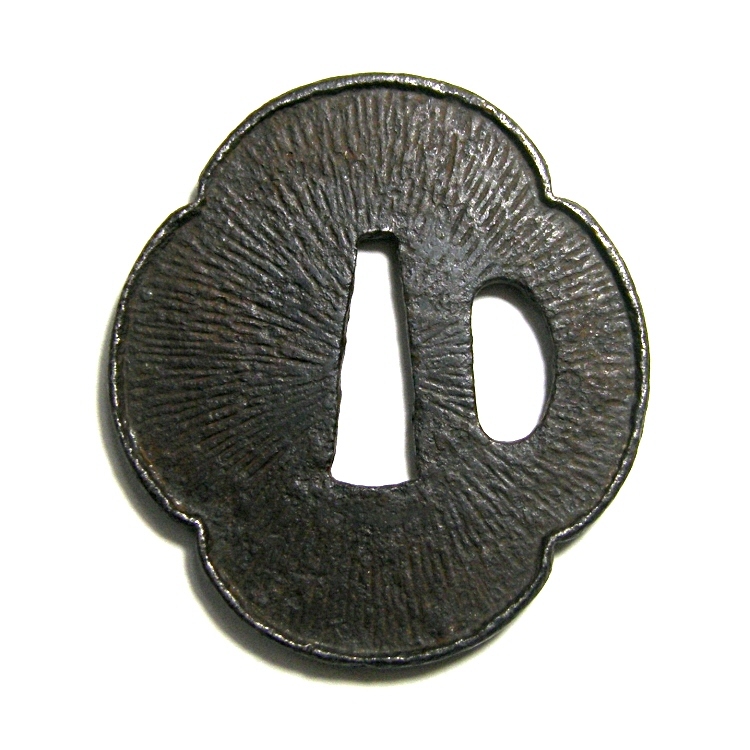 This tsuba is for a Wakizashi type sword. Of course, it is made from forged iron. 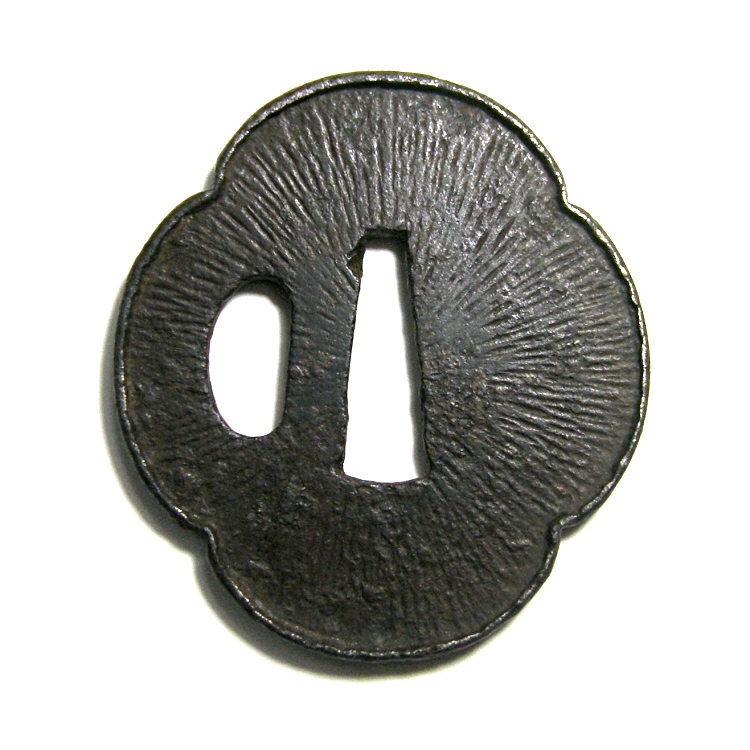 Amida-Yasuri pattern (Halo pattern) is expressed in carving on both sides. 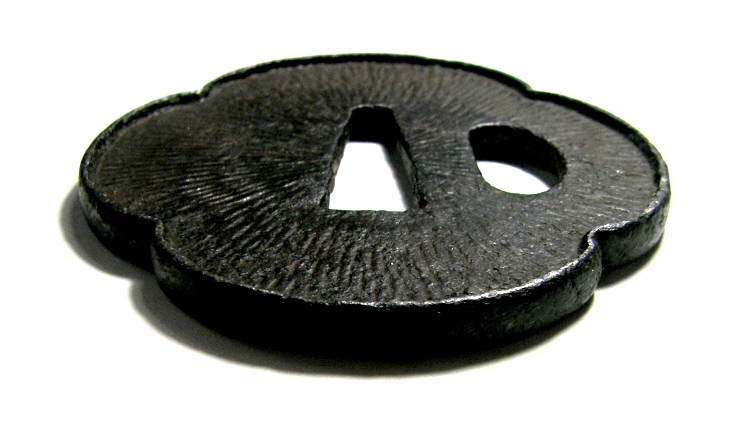 Its circumference is raised toward each surface by hammering (Uchikaeshi-Mimi). It is shaped lika a Japanese quince.